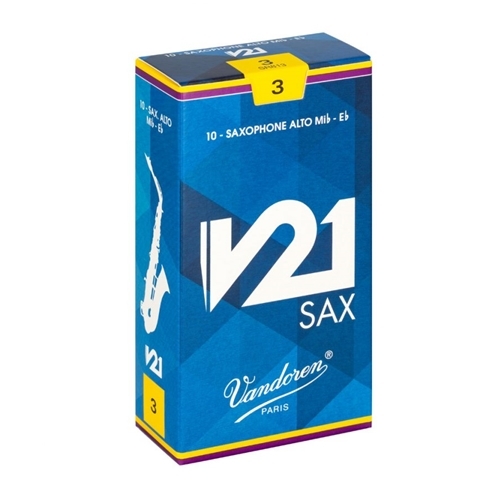 Vandoren V21 - Alto Saxophone Reeds No.3.5 V21: a premium versatile reed. In any style – with any mouthpiece – you’ll achieve maximum results with the V21 reed. It offers a clean, particularly warm and centered sound while providing an excellent sound projection. The V21 reed allows precise articulation and great ease in achieving large interval leaps.